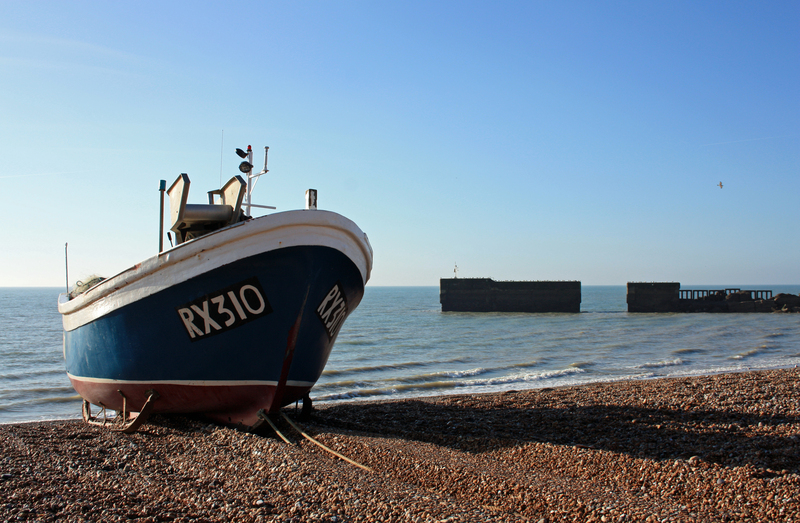 We arrived back at Hastings on a delightfully sunny morning and made our way to its working beach, where we finished our last walk. This was “Fishermen’s Village”. Small boats were pulled up onto the shore, and here and there fishermen were performing maintenance tasks. It is said that this beach boasts the largest beach-launched fleet of fishing vessels in Britain. There weren’t too many boats around when we were there; I suppose they were all out for the morning’s catch. As the rest of us stood in the morning sun and watched the beach area come to life, my wife let out a little gasp; she saw not life, but death. A corpse lay on the shingle next to her. Then she saw another, and another. Their vacant eyes stared back at her. 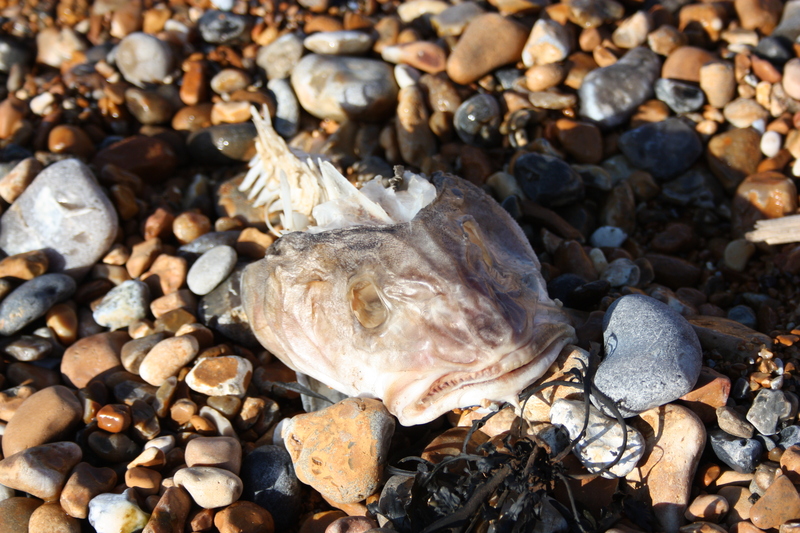 Later in the day, as we got a taxi back to our car, I asked our driver about the scattering of dead fish on the beach. He explained that they probably came from the fishing boats, thrown onto the beach by the fishermen as they gutted the fish and took the fillets up to the Net Shops to sell. 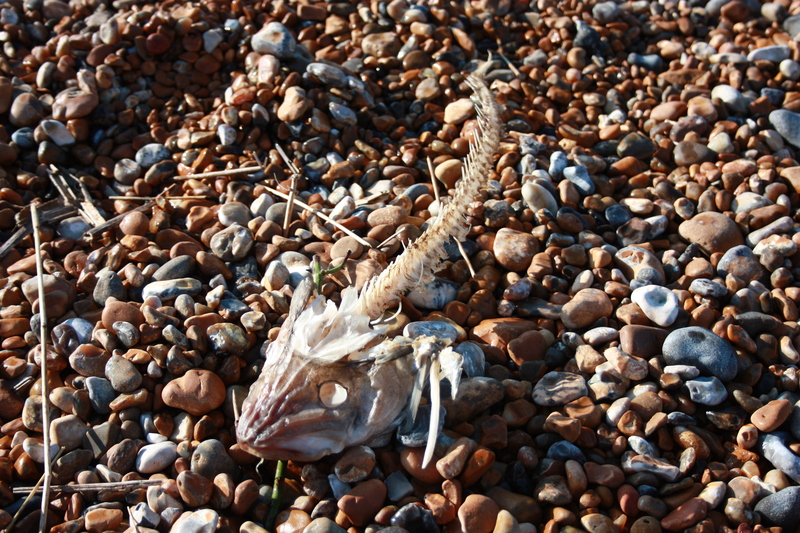 The unwanted parts were left on the shingle for the gulls to feast on. Between them, the fishermen and the gulls left not much behind. We examined these fish with fascination for a short while, however, we were here to walk, not stare death in the face. We headed off, struggling back up the shingle beach and passing a fish stall where seagulls perched on the roof. Having contented themselves with a starter of discarded fish heads they were now hoping for a better cut for their main course. They were clearly waiting for the woman tending the stall to turn her back so they could swoop down for a treat. I wonder how often this happens? I wonder how many people buy fish with beak-shaped dents in it!? Just beyond the fish stall we had to cross the narrow gauge tracks of the Hastings Miniature Railway, a small pleasure railway which runs along this part of the beach. “Uncle Jim”, built in 1968, waited patiently in his shed. We carried on, reaching the road. Opposite us stood the East Hill Cliff Railway. With a gradient of 78%, it is the steepest funicular railway in the country (for want of a better description a funicular railway is basically one that goes up and down). How about that? 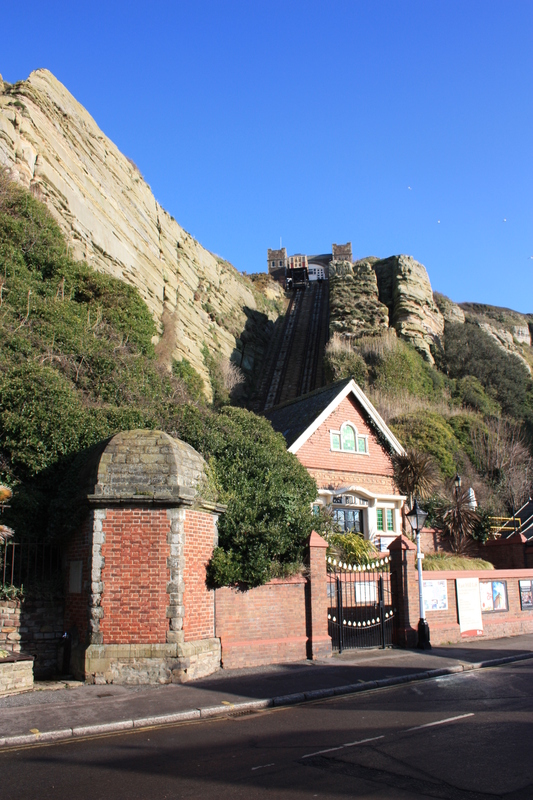 The largest beach-launched fishing fleet and the steepest cliff railway, both within in 150 yards of each other! 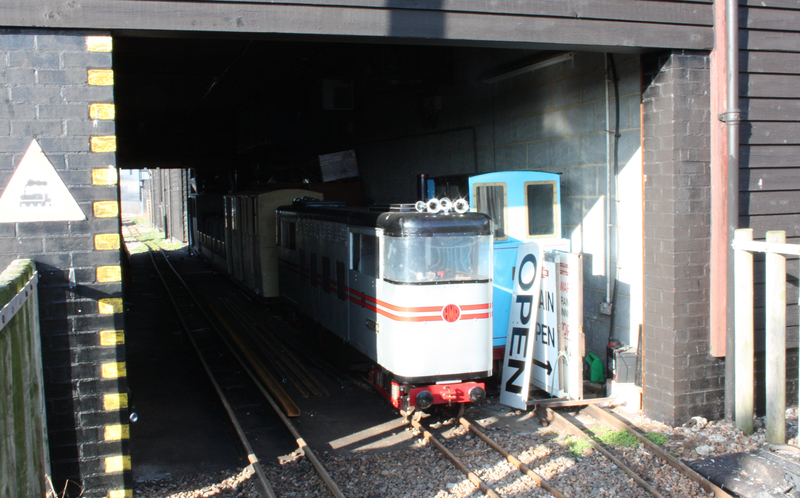 This entry was posted in East Sussex and tagged cliff railway, coast, East Sussex, fish, funicular railway, hastings, miniature railway, travel, walking. Bookmark the permalink.